Copper Tables are all the rage today. 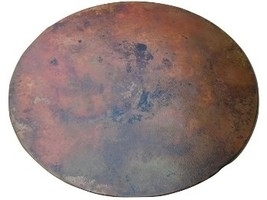 This beautiful 24" Hand Hammered Mexican copper table top will add a unique accent to your home. 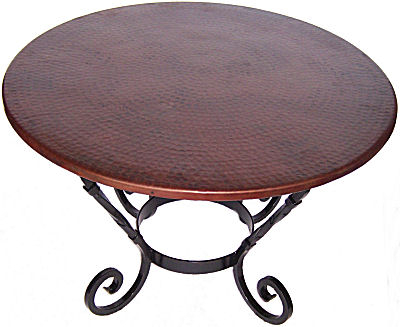 The tables are made with a sheet of hand-hammered 20 gauge copper that is glued onto a 3/4 piece of particle board. Three quarter inch cross pieces are added to the bottom of the table for further reinforcement. 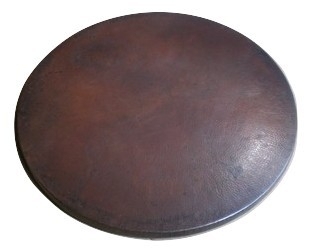 Each table is 1.5" deep with hand-hammered edges.